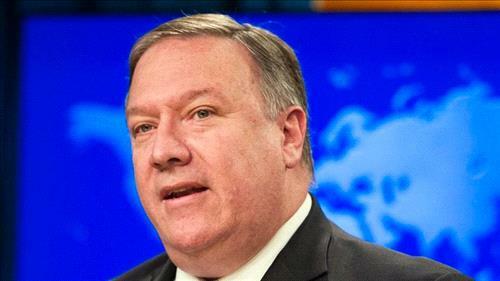 AMMONNEWS - The United States will “vigorously defend” itself in the International Court of Justice against Iran’s challenge to the reimposition of US sanctions, Secretary of State Mike Pompeo said Monday. Iran demanded in The Hague that the top UN court suspend the unilateral US sanctions, which were slapped back on three weeks ago following the US withdrawal from a landmark 2015 nuclear accord with Tehran. “We will vigorously defend against Iran’s meritless claims this week in The Hague,” Pompeo said. He said Iran’s filing with the International Court of Justice was “an attempt to interfere with the sovereign rights of the United States to take lawful actions, including re-imposition of sanctions, which are necessary to protect our national security. “The proceedings instituted by Iran are a misuse of the court,” he contended. The Joint Comprehensive Plan of Action (JCPOA) is the name given to the 2015 international agreement under which sanctions on Iran were lifted in return for curbs on its nuclear program. The reimposition of US sanctions has added to Iran’s economic woes, fueling strikes and protests across the country and political spectrum.